I’ve been to quite a few investment events in Scotland over the last 10 years or so – from the now defunct Connect Investment Conference to the Young Company Finance annual conference and EIE (Engage Invest Exploit). EIE in particular sets a very high standard in terms of the companies that present and investor attendance, bringing in big names from outside Scotland. In recent years the startup scene in London has really exploded, and with it the investment community has grown too. Unlike Scotland where there are only a handful of VCs and Funds alongside the excellent Angel community, London has a much broader range of investors. Some of them attend EIE, but I wanted to find out more about those that don’t make the trip. I am working on a potential University spinout at the moment that is likely to need VC money in the longer term, and is in a market that is really hot and well understood in London. 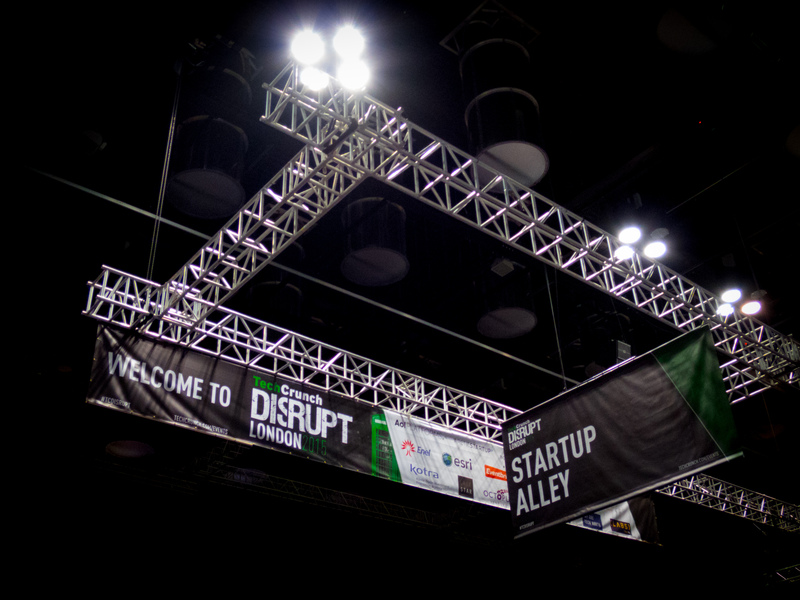 TechCrunch Disrupt seemed like a brilliant opportunity to get the proposition in front of these investors. I never hear much chatter about the event in Scotland (and I haven’t seen many Scottish companies on the attendee list in the past) so this was a bit of an experiment. It’s an experiment that has really paid off. We exhibited on Startup Alley on the Monday, and we had more than 5 really good conversations with highly relevant investors. All of them have the capability to invest through the growth stage, and about half of them might invest at seed stage. The other potential investors, for whom seed stage is too early, have offered to help introduce us to seed stage investors they see dealflow from. Whether anything will come out of this we can’t know at this stage – but we’ve certainly managed to get in front of a different audience, people I’ve never seen in Scotland. The investors weren’t just from London either – there were quite a number of US and European investors here as well. We’re also a bit of a niche opportunity – the number of investors here for enterprise applications, mobile and social apps, and the growing hardware space was much larger. Aside from the opportunity to meet investors, it’s a really great opportunity to get insights into companies here that are succeeding, and the way VC investors are thinking. This is a very different environment – it is entirely digital and hardware focussed, so the language and stories are often very different to what we hear at home where Life Sciences and Cleantech seem to play a major role in every event. In fact, being here very much reminded me of my time in Palo Alto at the heart of Silicon Valley. I would definitely come again – in fact I hope to be back here again next year with the same company at a later stage of development. I will definitely exhibit because the networking opportunities otherwise are limited, and I would do it on Monday which seems to be better attended. It’s not cheap (£800 for a Startup Alley spot, compared with EIE’s excellent price point of £0) but I think it’s worth it.